Let me support you as we work towards you feeling happier, gaining confidence and changing your situation. As your counsellor, we can work together to explore and help you to understand why you felt challenged, to reduce the impact and the chance of the same problems repeating themselves. Being listened to and able to talk in a confidential, warm, trusting environment and encouraged to challenge their thinking has really helped them. 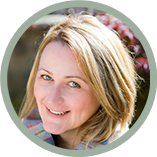 Hello I’m Laura, a BACP Senior Accredited counsellor/ therapist, clinical supervisor and personal development coach in Harrogate offering, individuals, couples and relationship counselling, or talking therapy, as it’s often termed.